No matter how hard you try, you just cannot motivate yourself to write. The revision process has been grueling, and you are overwhelmed with the theories or connections you will have to re-think and frame out. Cognitive work is exhausting... producing original work can seem completely overwhelming at times. 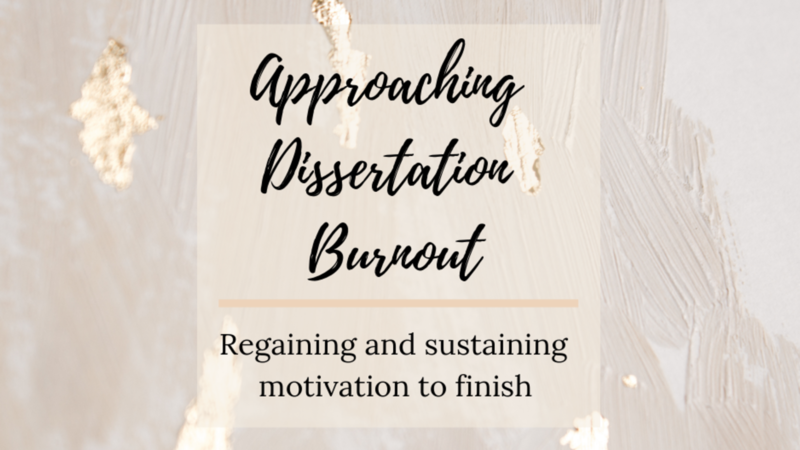 Approaching burnout and lack of motivation seems to be one of the most common sentiments that I hear from my coaching clients and the community inside my #DissertationBoss private Facebook Group when I ask what the biggest challenges are when going through the dissertation writing process. I'd like to share 13 strategies to help you regain momentum, and get motivated by your progress to FINISH.